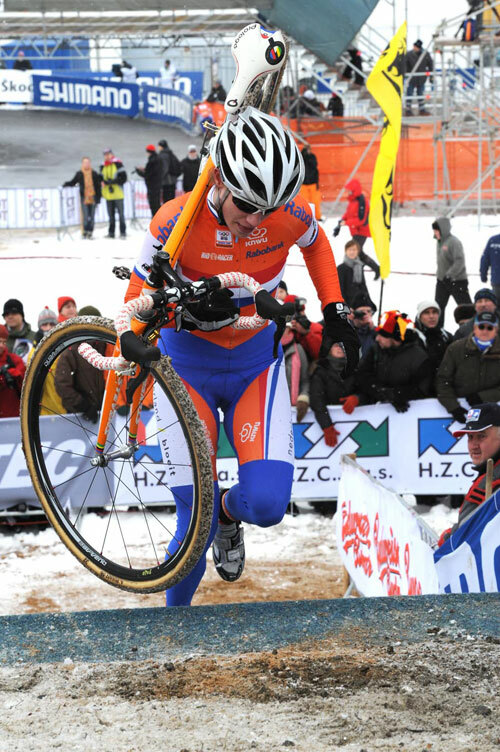 Marianne Vos successfully defended her World Champion title at the 2010 UCI Cyclo-Cross World Championships in Tabor, Czech Republic, on Sunday. World Cup series winner Daphny Van Den Brand (Netherlands) in third. There were just seven riders left in contention by the end of the first lap: Vos, Van den Brand, Kupfernagel and three French, with the home crowd urging Katerina Nash on as the Czech hooked up with the leaders. But Vos pushed on during the second lap and was faultless for the remainder of the race, with four-time World Champion Kupfernagel and Van den Brand chasing to no avail. Nash risked everything to land a medal for the home nation and almost closed the gap to Van Den Brand before hitting the deck. American contender Katie Compton fell victim to the mysterious leg cramps she has been suffering this season and pulled out early on in the forty-minute race. 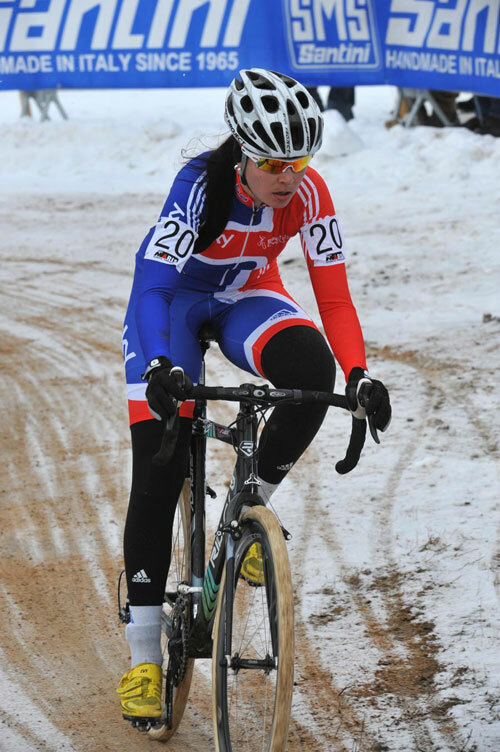 Nikki Harris started best of the four British women, but it was Annie Last who revelled in the super-slippery conditions and came through to finish in an excellent 11th place. 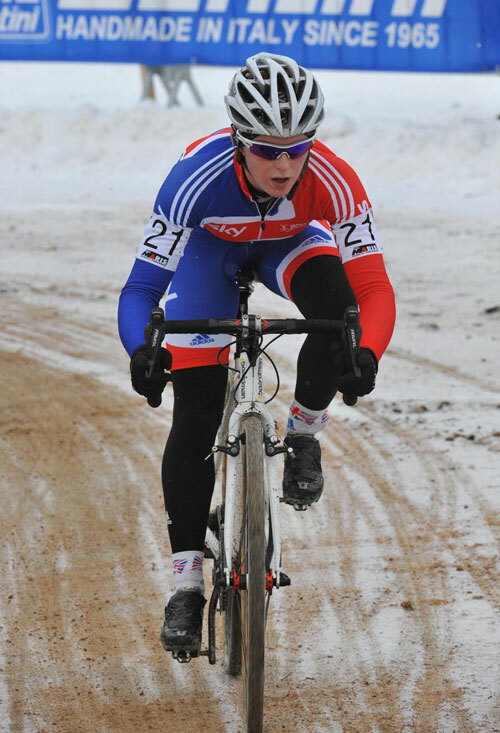 Nikki Harris placed 19th, Helen Wyman 23rd and Gabby Day 27th for Great Britain.